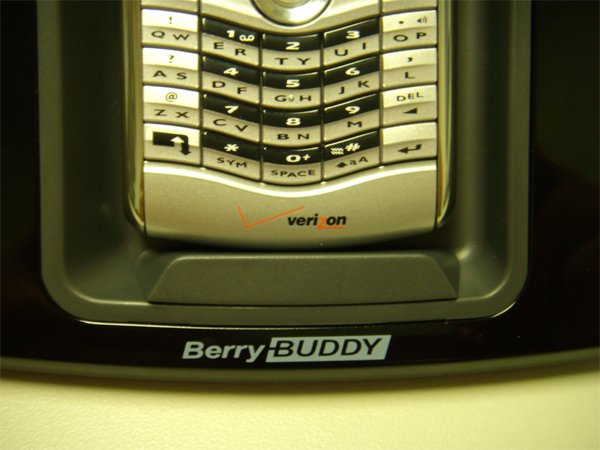 BerryBUDDY for the BlackBerry Curve Now Available! 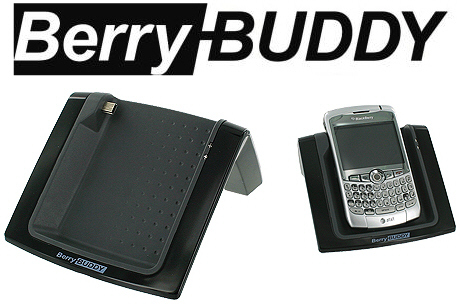 Just a quick note to let everyone know the new BerryBUDDY for the BlackBerry Curve is now in stock and shipping! It retails for $39.95 but you can pick it up from ShopCrackBerry.com for $29.95 and is compatible with the entire BlackBerry Curve series: 8300, 8310, 8320 and the new 8330. The original BerryBUDDY for the BlackBerry Pearl 8100 was a big hit with the BlackBerry community - you can read our CrackBerry.com review here. I should also point out that the original BerryBUDDY for the Pearl 8100 now ships with an adapter/spacer that now makes it compatible with the Pearl 8110/8120/8130. The BerryBUDDY fills a nice niche as far as desktop BlackBerry charging solutions go. It's bigger than the new BlackBerry Charging Pod but provides a much more solid base for the device, but at the same is a lot sleeker than the BlackBerry Powerstation (the ultimate for Power Users). And while all of the above are device model specific, there's always the one-size fits all Seidio Desktop BlackBerry Cradle to consider.